We based our discussion of US struggles against white supremacy over the last year on the CrimethInc. blog feature “Next Time It Explodes”, which includes a timeline of the Baltimore uprising and other links and info. 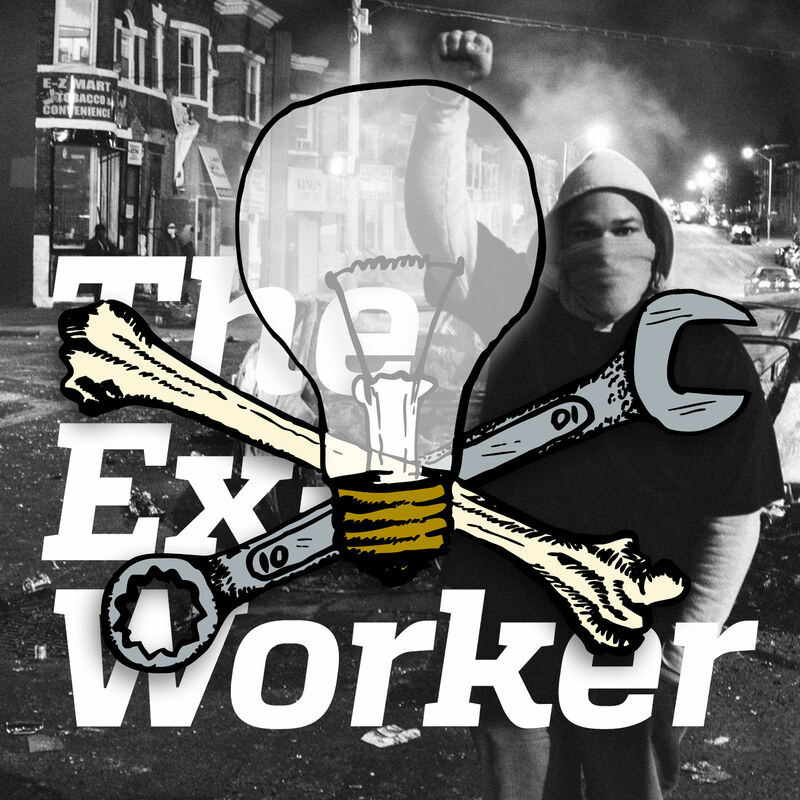 For background on our discussions of white supremacy, police violence and resistance in this episode: we began our coverage of the Ferguson uprisings a year ago in Episode 27, sharing accounts from participants and an analysis of the “outside agitator” discourse, plus a review of texts by anarchists in Oakland and in Durham, North Carolina analyzing rebellions that appeared after police killings in those cities. Then in Episode 32 last December, we posed the question of why the authorities let these murderous cops off without charges, despite knowing that a nationwide uprising would almost certainly ensue. To put the rebellions in a contemporary global context, we shared an excerpt from a CrimethInc. analysis of the significance of anti-police anger in catalyzing revolt around the world since the Arab Spring, then looked at the historical roots of capitalism and white supremacy in the origins of European conquest and colonization in the Americas. In our listener feedback section, we discussed “A Day Mournful and Overcast” by an “uncontrollable” of the Iron Column during the Spanish Civil War. You can also listen to the text in audiobook form here, from Resonance Audio Distro. We also mentioned “The Master’s Tools: Warfare and Insurgent Possibility” by Tom Nomad, which was reviewed in the recently released Rolling Thunder #12. We mentioned the article on a corporate infiltrator into an animal rights group in a California anti-SeaWorld campaign in our last episode, but the link was broken. There’s the proper link – sorry! It’s a useful read for activists interested in understanding how to research and out potential infiltrators. We sourced our coverage of goings on around the one year anniversary of the Ferguson rebellions from “It’s Going Down,” a newer anarchist news website. Check it out! For updates on repression in Denver, check the Defend Denver blog or Denver Anarchist Black Cross. Here are photos from the anti-presidential protests in the Philippines. Here’s a link to the latest Avalanche where you can find the article which chronicles the hunger strike in the Greek prisons that took place earlier this summer, which a huge response of solidarity from all over the world. The article begins on page 28. Here’s more information about the hunger strike in the Mexican prisons.